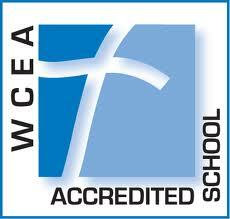 Holy Family Catholic School is accredited by the Western Catholic Educational Association (WCEA). WCEA accredits Catholic elementary and secondary schools in nine western states (26 (arch) dioceses) and the US Territory of Guam. WCEA co-accredits and is in partnership with three Regional agencies (WASC, NAAS, NCA CASI) and two private agencies (CAIS and HAIS). WCEA began in 1957 in San Francisco and has a long and successful history of assisting school improvement through the accreditation process.